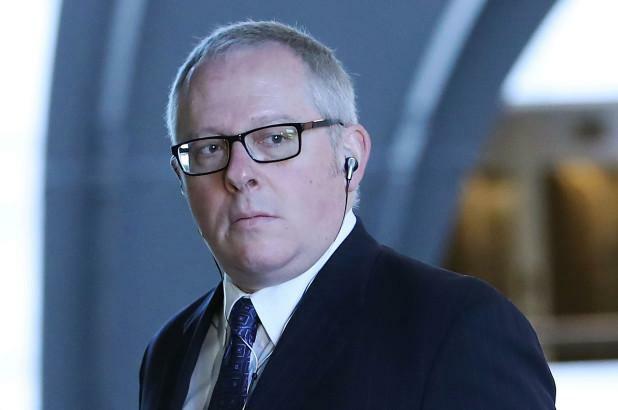 Second Spy Tried To Infiltrate Trump Campaign Says Former Adviser: "This Is Just The Beginning"
Republican consultant and former Trump campaign aide Michael Caputo claims that a different spy working for the Obama administration approached him in an attempt to infiltrate the Trump campaign during the 2016 US election. Appearing on Fox News' "The Ingraham Angle" along with former Trump aide Carter Page, Caputo's comments come amid recent revelations that Stefan Halper, a 73-year-old University of Cambridge professor, was enlisted by the Obama FBI/DOJ to perform espionage on four members of the Trump campaign - both before and after the election. Halper then tried to infiltrate the Trump administration, asking top trade adviser Peter Navaro to recommend him for a job at the State Department according to Axios. Halper has been paid over $1 million by the Department of Defense since 2012, with over $400,000 of it occurring in 2016 and 2017. And now we have word of yet second spy - possibly from another agency within the Obama administration - approaching yet another member of the Trump campaign. “Let me tell you something that I know for a fact. This informant, this person that planted, that they tried to plant into the campaign and even into the administration if you believe Axios–he’s not the only person that came at the campaign," Caputo claimed. "And the FBI is not the only Obama agency who came at the campaign,” Caputo continued. “I know because they came at me. And I’m looking for clearance from my attorney to reveal this to the public." Halper, who served in three Republican administrations, approached campaign aides Carter Page and George Papadopoulos in July and September of 2016 respectively - maintaining a dialogue with Page throughout 2017, and paying Papadopoulos $3,000 for work in London for a policy paper on energy. Halper and Papadopoulos met several times in London where the FBI spy asked the Trump aide whether he knew about Russian hacking of Democrats' emails, according to the Daily Caller. Sam Clovis, the Trump campaign's national co-chairman, was also approached by Halper - meeting once for coffee just days before Halper first contacted Papadopoulos. "This is just the beginning," Caputo told Fox News. "And I’ll tell ya, when we finally find out the truth about this, Director Clapper and the rest of them are gonna be wearing some orange suits."